Let me entertain you with some underground tunes by Ashbringer, Wederganger, Laster, Wilderun and Eternal Khan. Hopefully you find something you dig in there. The name Ashbringer resonates to me due to the obviousl link to Warcraft. The name of the legendary blade is almost as enchanting as the music of this band, which is unique, atmospheric and grand, but always staying on the edgy. Their debut was ‘Vacant’, released in 2015, by the Minnesota group. That already intrigued me, but ‘Yūgen’ is a whole different beast. The group formed around Nick Stanger (Astral Blood, No Heroes, ex-The Broken Are Crowned), who decided to pursue his solo dreams. To my dismay I found that I never got around to penning some words about Ashbringers debut, but do check that out if you have a chance. Deep melancholy oozes from the sound of Ashbringer. Its’s full on, blazing black metal, swelling up like a roaring fire and rolling over you, but in there is a layer of synths. Those create that feeling of magic. The band is also not afraid to add folky elements to the music, not necessary hidden behind bushes of distortion, but offering an intermezzo in a track (even the opener) or soaring high throughout a song like ‘Oceans Apart’. 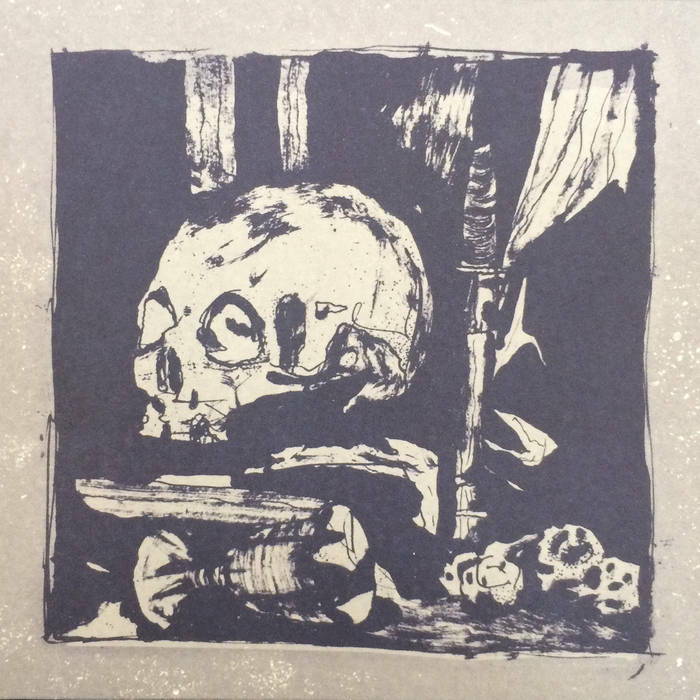 It adds a postrock vibe to the atmosphere that Ashbringer delivers, but the twangy steel sound of the guitar on that song takes it somewhere else. It places the band completely on its own path. I think you can compare them to a Deafheaven, Woods of Desolation and ilk, but to me on ‘Yūgen’ the band has found their own sound, which is distinct. As the Asian word they chose as title indicates, it’s mysterious and profoundly expressing a sort of suffering. This is a glorious record. Laster is a Dutch band, earlier I discussed their previous release. That was an experience in itself, there’s a poetic side to the bands sound and words. On this new ordeal, the band unleashes a song that lasts close to 20 minutes. ‘Vederlicht Verraad’ is their contribution to this split, so I’ll split this review up as well. There’s something unorthodox about this track, mainly on the rhythm section, which sounds almost like wooden drums. Full on salvo’s are unleashed, but there’s a continuous measure of control to the sound, as if the band tempers the energy they unleash. From there the band slowly works towards a repetition that slowly dulls the listener, bringing on a trance that is ended by the harsh buzzing noise that remains at the end of the track. Wederganger is a whole different beast. 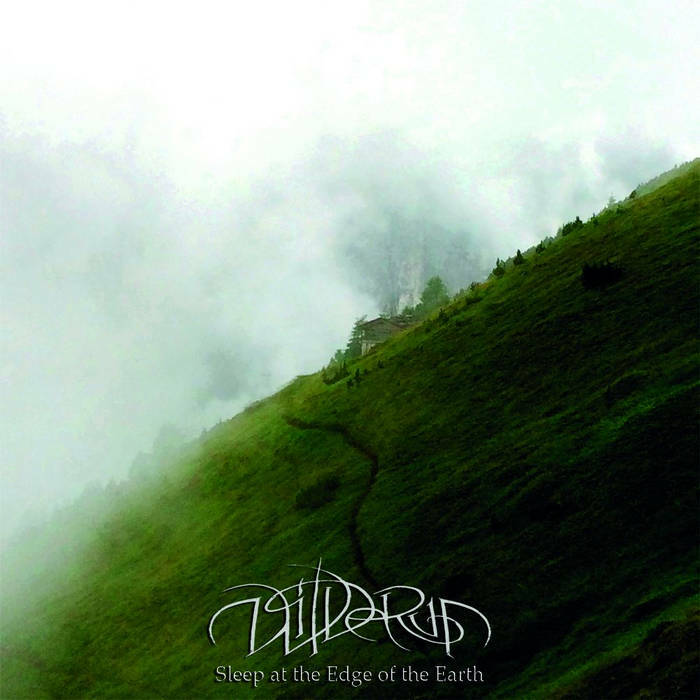 Steeped in the clay of their region, closely connected to more historical orientated bands and up for a bit of dirty, grimy black metal, this will not be a pleasant experience. Their song ‘Klaroenen van den dood’ translates as ‘trumpets of death’ (roughly). It opens with a languid, sizzling riff that electrifies your spine. There’s a feel of something looming in this track, it never really gives you a moment of peace and calm. The ghoulish vocals are accompanied by a galloping rhythm, that keeps a slow melodic pace. Rattling drums crawl under a soaring, buzzing guitar riff that sounds really like it’s charged heavily. Clean vocals in Dutch chant about death, it’s a typical morbid day in Wederganger land. 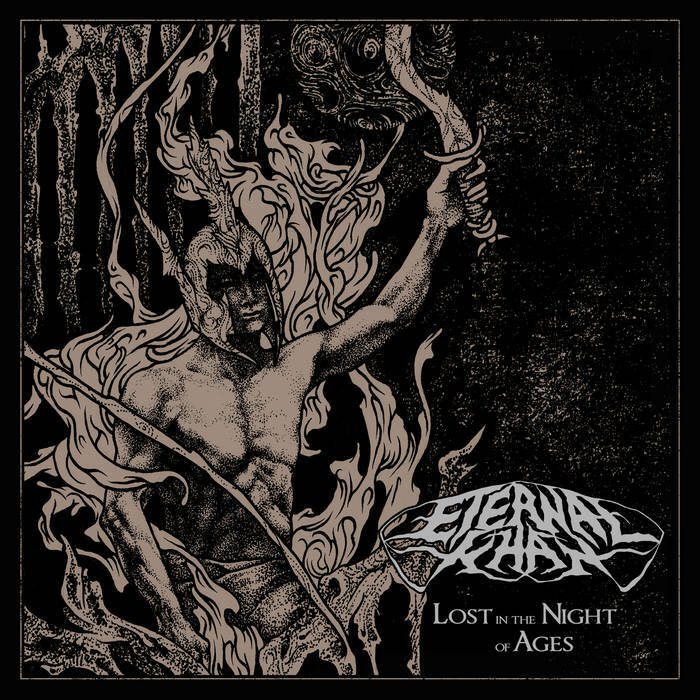 I think that Eternal Khan is the musical equivalent of taking a bat to the face, that’s how intense the Providence black/doom metal band comes across on their second full lenght ‘Lost in the Night of Ages’. The band takes on themes like absurdity of man’s existence, which does intrigue me. 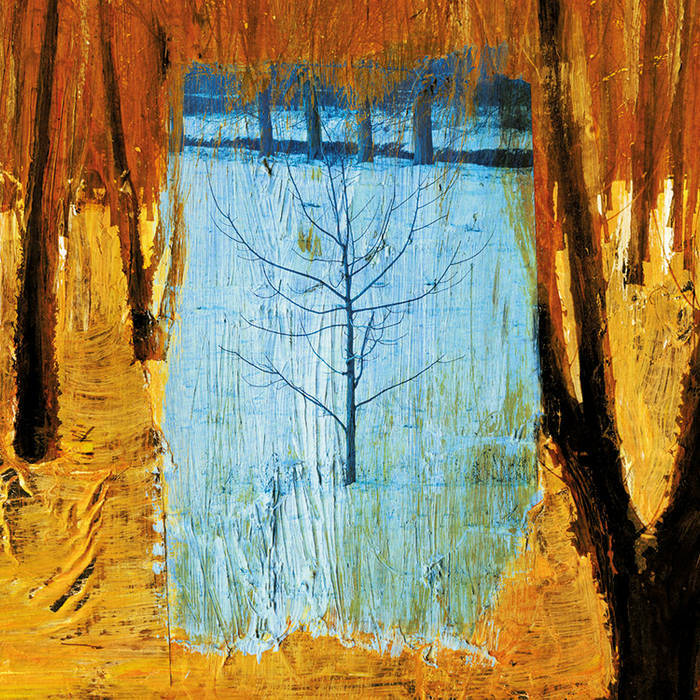 The artwork and other promises also suggest that there’s an element of mythology to the band. On previous covers a Mongolian warlord is depicted, hulking and brandishing weaponry. That feels different on this album, with a more fantasy like creature adorning its front. The feel of the magnificent riffing might be dirgelike, there’s an urgency and commanding element to the steady horse-back galloping riffing on the record. Maybe I’m just interpreting the ‘khan’ title in the album, but the threatening tone is more than just creating a languid atmospheres. In that militant element, there’s definitely a wink at Satyricon you could suggest. Vocals are much more barked and guttural and there’s definitely more of a stomping feel to the doomed up beats. Still, this is no step back in black metal history, this is a record in its full right, exploring a new avenue from that direction. It’s brutal, atmospheric and one big pit of swirling chaos. I only miss the real mythological elements that everything seems to hint at. I’ve kinda left Wilderun for what it is for quite a while, untill I saw it pop up on some EoY lists here and there. The lustrous green hills on the cover did attract my eye, so I finally decided to give it a spin. Expecting something akin to Wildernessking I was surprised by the sound of this Boston group. The Americans produce their own specific sound of folk metal with symphonic elements. Now, this is a slippery slope that might lead up to a massive cheese fest of tacky, over the top metal music, but these guys manage to pull it of. Time to dig in and listen to the majesty that is Wilderun. Combine the penchant for the dramatic storytelling of Turisas with the grandeur of musical brilliance of Opeth and you have a pretty adequate description of what the sound of this group is. Vocally and lyrically the work of Evan Anderson Berry is very strong and theatrical, but a bit too slick for my tastes. The same goes for the bombastic arrangements. When finally a shreddin guitar enters the fray on ‘The Means to Preserve’ I think I sigh audibly every time. Equally for the more gruff vocals by the way, but I can’t escape the notion that this is a majestic record, filled with grandeur and beauty of it’s very own kind by a band who are masters at their craft. It’s grandeur and picturesque nature remains unsurpassed and this is indeed a great album that I would recommend to those who like their music epic and sountracky.